Tips for Purchasing a Used Car | AutoFriend Leads Inc. Tips for Purchasing a Used Car. Buying a used car can be a hassle and not just because you are spoilt of choice when it comes to dealerships and brands. No! It’s also due to the many things you have to consider to avoid buying a lemon. After all, no one wants to buy a car only to be a liability. That is why you need to be patient and have the right tools to buy yourself an awesome stress-free used car. Fortunately, we have gathered a few tips for you to make it less daunting. Whether you are purchasing a new or used car, you have to work within your set budget. Avoid cases of bad debts. While setting your budget, also consider setting aside some extra cash for new tires, and other touch ups especially when buying from a private dealer. Dealerships usually have this covered but of course that factors in the price. Do not just jump into purchasing a used car if you aren’t sure you have the cash for the purchase and maintenance. Setting a budget is very important in this case. 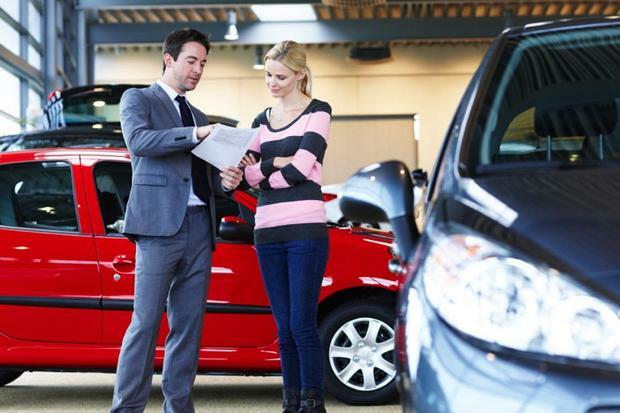 If you’re looking to purchase a used car, their is a number of inexpensive brand name cars for subprime buyers that you may want to check out. Toyota is right at the top of that list for those who want quality and convenience. It’s not difficult to find a dealer, finding the right one is. With so many listings online, you have to research which dealerships have the best offers and rates. Many auto dealers rely on used car leads from auto lead providers to help match qualified buyers with a used car. In addition, remember to research on the brands and models. Know their pricing when new and used so as you can be well armed when it comes down to negotiations. The research should include the common problems associated with the brand you want to purchase as well. This helps during inspection. There is no harm in wanting to know more about the car you want to buy. Therefore, ask all the questions that will assist you to make an informed decision. That is, why is the car being sold? Has it been involved in an accident? What is its mileage? Is it registered? How many times has it been maintained? and so on. These questions helps one to know the history of the car. Used cars can be a pain if you fail to pay attention to the necessary details. In your checklist, you should inspect the engine; are there any leaks? How is the head gasket and the exhaust? The oil level etc. Also, inspect the bodywork, wheels and tires, interior condition, gearbox and clutch, and make sure all the documents are there and verifiable. Once your checklist runs out, it’s time to feel out the car. Take it on a test drive. Used cars may look good but once they are on the road, they start having mechanical problems. A test drive will solve this. During the drive, feel the steering, listen to the gear change, check the responsiveness of the clutch and brakes, and listen for engine noises and other sounds that can point out any underlying problems. After you ensure that the used car passes all the tests, negotiate for the best and reasonable offer. Purchasing a used car need not be stressing. With these tips, you are well on your to buying a used car that will give you much service as if you were buying a new car at the end of the year.